On the other hand, there’s the non-SEO “expert” (loosely defined as someone who has a cousin in marketing) who represents a different beast altogether. Well intentioned but misinformed, they believe SEO is urban legend, no better than a Ponzi scheme. Here’s what I have to say to a few of the worst offenders. The above screenshot of organic traffic to Moz’s own website shows the kind of success many strive for, but it is neither unusual or unattainable for folks that consistently invest in SEO as a marketing strategy. Sadly, many business owners have been approached by less-than-ethical marketing vendors who promise SEO services but basically deliver nothing. If you are paying $49/month to a service that promises you top rankings in Google, it is almost certainly a scam. Perhaps this most harmful of myths stems from those seeking quick and easy wins with little effort. Indeed, there are cases of SEO wins that meet these criteria, typically when a site has easily correctable technical problems. In other cases, SEO involves real effort and commitment which often pays additional rewards beyond the increase in traffic. No. No they friggin’ won’t. Here’s what many webmasters see far too often when they trust search engines to do their SEO for them. The temptation of many website owners and developers is to throw as many URLs as possible—sometimes millions—at Google’s crawlers and pray that their mysterious algorithms will magically deliver these pages to valuable users. Alternatively, even sites with a handful of pages expect search engines to do all the heavy lifting. Google is smart, but not magic. What’s forgotten in this equation is that Google and other search engines strive to mimic human behavior in evaluating content (and no human wants to sort through a million near-duplicate pages) and use human generated signals (such as links and engagement metrics) to crawl and rank results. Every page delivered in search results should be unique, valuable, and more often than not contain technical clues to help search engines sort them from the billions of possible pages on the web. Without these qualities, search marketing is a game of chance that almost always loses. Congratulations. Buy yourself a cookie. For a small minority of sites, SEO doesn’t need continual investment. My father-in-law’s auto shop is a perfect example. He has more business than he needs, and as long as folks find him when searching for “Helfer Auto” he’s happy. In this case, simply monitoring your SEO with the addition of a deeper dive 2-3 times per year may be sufficient. For the rest of us, one-and-done SEO falls short. Many misinterpreted this to mean that link building is bad, against the rules, and Google will penalize you for it. In fact, nothing has changed that the fact that search engines use link authority and anchor text signals heavily in their search ranking algorithms. 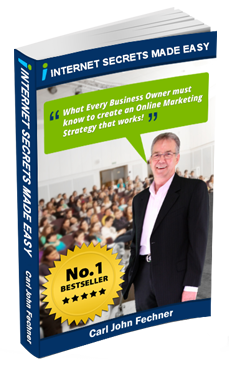 Or that white-hat link building is a completely legitimate and time-tested marketing practice. I’m certain John was referring to the more manipulative type of link building, no doubt encountered frequently at Google. To be fair, this type of non-relevant, scaled approach to links should be avoided at all costs, and search engines have taken great strides to algorithmically detect and punish this behavior. Marketers build links in a number of natural ways, and attracting links to your website remains darn-near essential for any successful SEO undertaking. If you need help, we write about it frequently. No. No you friggin’ don’t. Look, here’s a personal example. I really want to rank #1 for “SEO” because Moz offers SEO software. Because of our Beginner’s Guide to SEO. 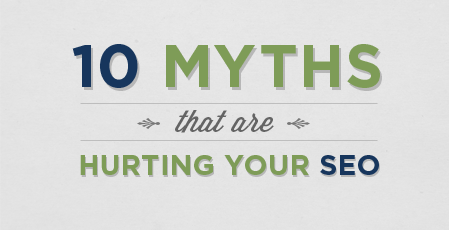 Because SEO is our lifeblood. But we don’t, and it doesn’t matter. 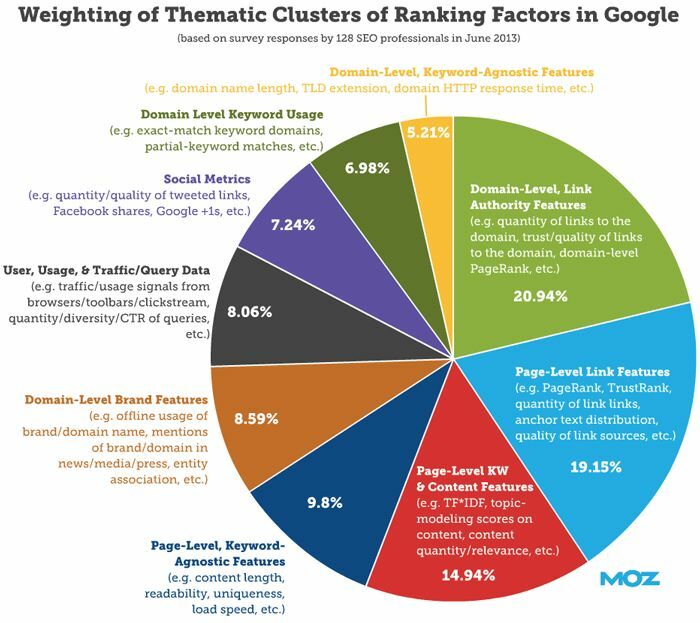 Moz typically ranks #2-3 for “SEO”. 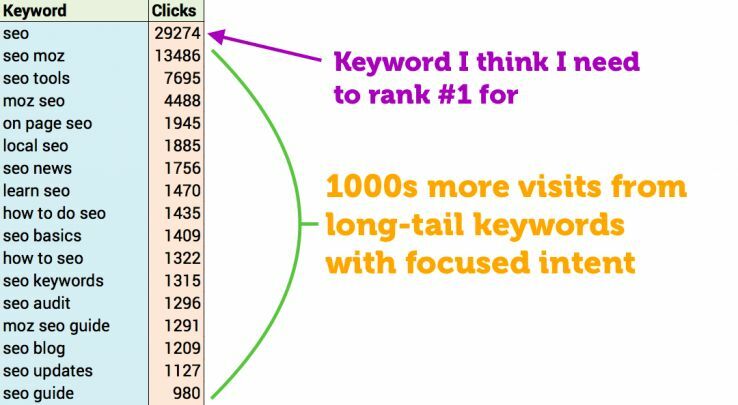 It sends good traffic, but not nearly as good as the thousands of long-tail keywords with more focused intent. In fact, if you went through our entire keyword set, you would find that “SEO” by itself only sends a tiny fraction of our entire traffic, and we could easily survive without it. The magic happens when visits reach your site because the content matched thier needs, but not necessarily when you matched the right keywords. Some days, it feels that way. In truth, Google’s relationship with SEO is much more nuanced. Google published their own SEO Starter Guide. While a bit out of date, it certainly encourages people to take advantage of SEO techniques to improve search visibility. Google Analytics offers a series of SEO Reports. Keep in mind, these are almost laughably unusable due to the handicapped data quality. While Google seems to encourage search engine optimization, it almost certainly hates manipulative SEO. The type of SEO meant to trick search engines into believing false popularity and relevancy signals in order to rank content higher. 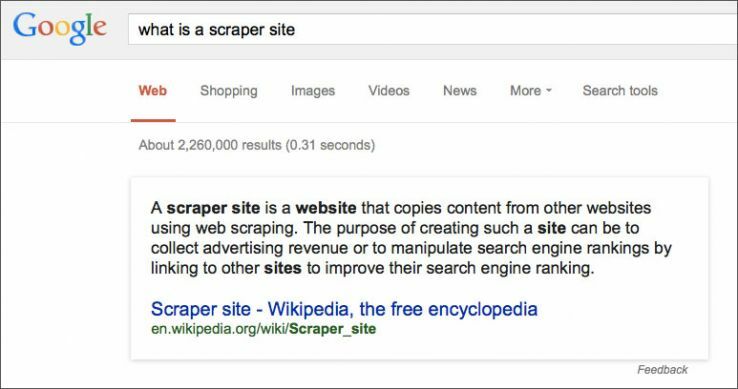 It’s scary for SEOs when we ask Google a question and see an actual answer instead of a link, as in the example below. It’s even more frightening when Google takes over entire verticals such as the weather, mortgage calculators, or song lyrics. With the flip of a button, it seems Google can wipe out entire business models. World Internet and search activity continues to rise, particularly in the mobile sector. This generally indicates that more users are performing more searches on a greater number of devices. MozCast reports only 4.9% of Google searches result in an answer box. A recent study by Stone Temple showed that 74.3% of Google answer boxes contained linked attribution, while the rest was public domain knowledge. Anecdotal evidence further suggests that even when presented with answer boxes, a large number of users click through to the cited website. People want answers, but at least for now they also want their websites. Really? This is plain sad. Somebody make me a sad salad. If that’s all SEO is, it does sound like tricks. Each of these actions is valuable by itself. By optimizing your web content from every angle, you may not even realize you’re doing SEO, but you’ll reap many times the rewards. But it’s still a flippin’ myth. PageRank was an incredibly innovative solution allowing Google to gauge the popularity of a webpage to the point that they could build the world’s best search engine on the concept. Despite what people say, PageRank is very likely still a part of Google’s algorithm (although with severely reduced influence). More than that, PageRank gave Google the ability to build more advanced algorithms on top of the basic system. Consider concepts like Topic Sensitive Page Rank or even this recent paper on entity salience from Google Research which highlights the use of a PageRank-like system. So why is PageRank such a bad myth? Toolbar PageRank, the PageRank most SEOs talk about, will likely never be updated again. PageRank correlates poorly with search engine rankings, to the point that we quit studying it long ago. PageRank is easy to manipulate. Fortunately, Google has moved away from talking about PageRank or supporting it in a public-facing way. This will hopefully lead to an end of people using PageRank for manipulative purposes, such as selling links and shady services. If you’re interested, several companies have developed far more useful link metrics including Majestic’s Citation Flow, Ahrefs Rank, and Moz’s Page and Domain Authority. At this point, I barely have strength left to argue. This statement is half right, but can you guess which half? It’s true that Google does not use metrics such as Facebook shares or Twitter Followers directly in search rankings. Perhaps no one explains it better than AJ Kohn, in his excellent Social Signals and SEO. Successful social activity puts your content in front of the right group of users, increasing visits, engagement, and brand signals like the number of users searching for your site. Finally, the simple act of more influencers visiting your content can lead to more links and further sharing, and the cycle repeats itself. 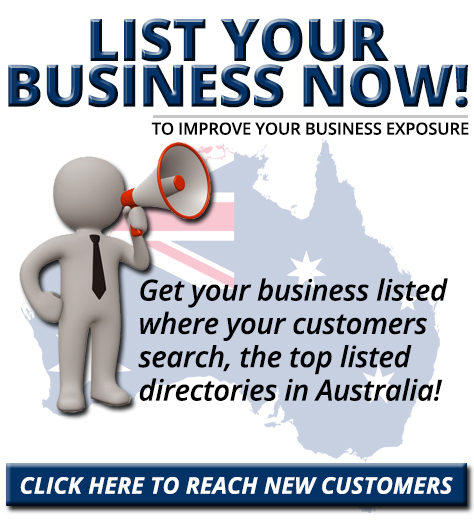 All of these secondary effects can significantly boost your SEO efforts.